Desert Brand, a division of Hill Brothers Chemical Co.
Desert Brand, a division of Hill Brothers Chemical Co., manufactures high-quality sealers and deck coatings for a wide variety of applications. Their deck systems and sealers are highly effective at enhancing and protecting concrete and masonry surfaces for residential and commercial decks, walkways, and parking structures. Desert Brand waterproof systems consist of multiple layers of its proprietary Desert Crete material in conjunction with sealers and bonders. The unique properties of their decking systems allow them to be installed on nearly any slope or contour and provide effective protection against water intrusion. In addition to being highly functional, Desert Brand decking systems can also be customized to enhance the appearance of any space, whether by matching the existing décor or by being stamped to resemble tile, masonry, or wood. 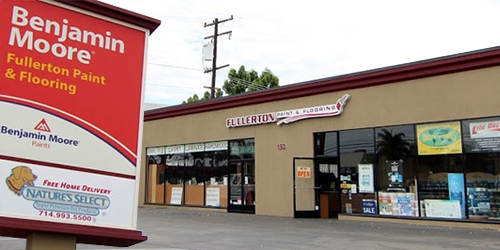 Ask our experienced staff at Fullerton Paint & Flooring about how our Desert Brand decking and sealer products can help waterproof and enhance the look of your driveway, garage, paved walkway, deck, or parking structure. Our Anaheim-based business serves customers throughout Orange County, including Anaheim, Fullerton, Yorba Linda, Brea, Orange, Irvine, and surrounding cities, Monday through Saturday. Custom tinting is available in the CMFPS concrete and masonry sealer, as well as Master Seal WB. CMFPS, Master Seal WB, Master Seal 100, Paver Sealer, Total Sealer, and Top Finish provide a protective clear finish and all are available at Fullerton Paint.